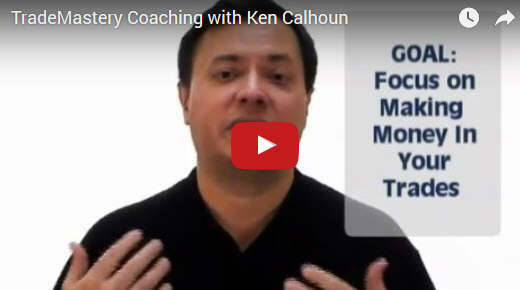 Your One-On-One PRIVATE Coaching with Ken: New! 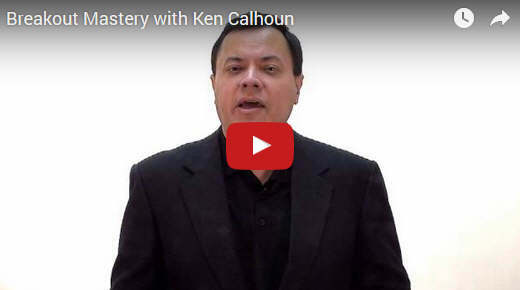 Get your very own personal, private one-on-one coaching call with award-winning MoneyShow speaker & real-money active trader Ken Calhoun! Get answers to your toughest trading questions. Eligibility: open to all who are current or prior customers; you must have already bought at least one of my courses or alert services to be eligible to order a coaching call (because you’ll get more out of it if you’re already familiar with my trading approach). 50% Discount: Annual members of either SwingScans.com or TradingTheOpen.com get a full half off my regular rates! Full-hour session = $500, half-hour just $350. Limited spaces. BONUS: If we use gotowebinar (recommended), you’ll also get a complete downloadable video recording of your coaching session you can keep forever! Just contact me via support ticket (must include name of one of my courses you’ve already bought from my site & email address you used to order). We’re booking calls now. Let us know a few times you’re available; and we’ll get back to you with payment information & scheduling notes. Disclaimer: I cannot provide individual investment nor trading advice, such as what specific stocks to trade (I am not a registered investment advisor); the coaching is for learning how to trade my top techniques and answer your questions that you’re looking for help with. I look forward to working with you!